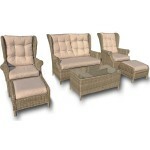 Maze Rattan Furniture is a company based in Suffolk that specialises in high quality Garden Furniture such as Rattan Garden Furniture Sets including Garden Sofas, Garden Chairs, Garden Dining Sets, Garden Loungers, Daybeds and numerous other pieces of Outdoor Furniture. 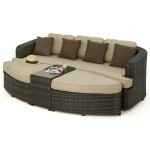 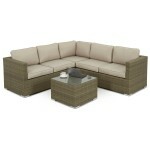 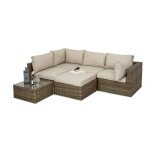 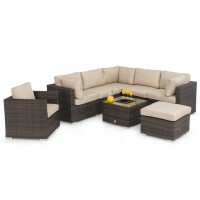 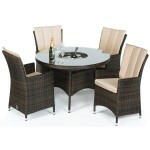 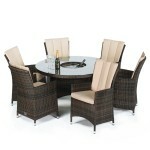 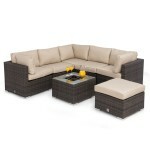 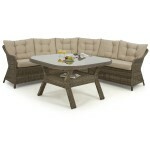 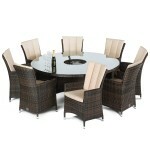 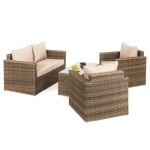 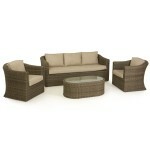 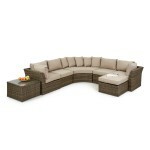 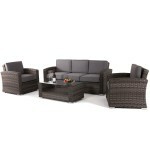 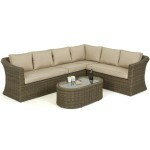 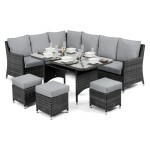 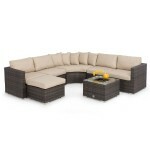 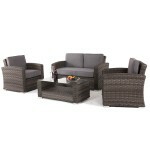 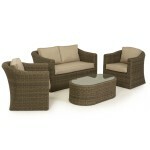 More Recently Maze Rattan has expanded into outdoor fabric furniture that is water, stain and fade resistant. 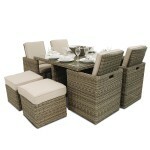 Whether you're having friends over for a party, having a barbecue with family or just enjoying in the sunshine, all the rattan furniture sets from Maze Rattan Furniture will allow you to relax in the utmost comfort this summer. 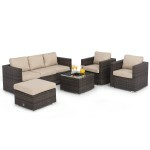 Made from the highest quality material, woven onto a powder coated aluminium frame that ensures its use all year – even through the harshest weather. 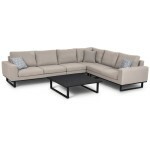 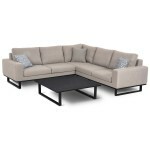 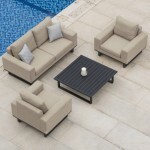 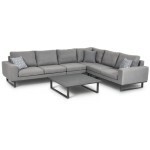 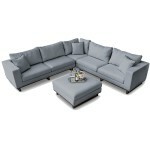 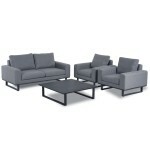 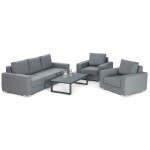 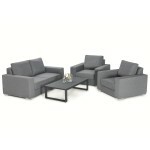 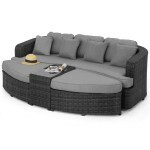 Ego Corner Sofa Garden Furniture Set - Sunbrella Garden Lounge	Luxury Garden Furniture SetGrey coloured Sunbrella™ fabricDurable Breathable FabricMould, Stain, Water and Fade Resistant!UV ProtectedEas..
Maze Ethos 2 Seat Sofa Set in Flanelle Grey FB-ETH-2SS-T-FL	New for 2019Durable and breathable Flanelle Grey coloured FabricLuxury thick grey seat cushions and pillow style back cushionsWater, Stain, ..
Maze Ethos 2 Seat Sofa Set in Taupe Chine FB-ETH-2SS-T-TP	New for 2019Durable and breathable Taupe Chine coloured FabricLuxury thick taupe seat cushions and pillow style back cushionsWater, Stain, Mou..
Maze Ethos Corner Sofa Set in Flanelle Grey FB-ETH-CSG-FL	New for 2019Durable and breathable Flanelle Grey coloured FabricLuxury thick grey seat cushions and pillow style back cushionsWater, Stain, Mo..
Maze Ethos Corner Sofa Set in Taupe Chine FB-ETH-CSG-TP	New for 2019Durable and breathable Taupe Chine coloured FabricLuxury thick taupe seat cushions and pillow style back cushionsWater, Stain, ..
Maze Ethos Large Corner Sofa Set in Flanelle Grey FB-ETH-LG-CSG-FL	New for 2019Durable and breathable Flanelle Grey coloured FabricLuxury thick grey seat cushions and pillow style back cushionsWater, ..
Maze Ethos Large Corner Sofa Set in Taupe Chine FB-ETH-LG-CSG-TP	New for 2019Durable and breathable Taupe Chine coloured FabricLuxury thick taupe seat cushions and pillow style back cushionsWater, Sta.. 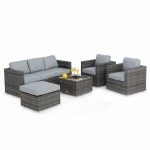 Outdoor Furniture - Maze Snug Lifestyle Suite in Grey FB-SNU-CSG-FLST	New for 2019Durable and breathable Flanelle Grey and Charcoal coloured FabricWater, Stain, Mould, UV and Fade Resistant!Easy CareA..
Maze Rattan Barcelona Corner Sofa Set with Ice Bucket FLA-103520	Luxury Outdoor Rattan Furniture SetNatural mixed brown flat rattan weaveLuxury thick natural beige seat cushions and pillow s..
Maze Rattan Georgia 3 Seat Sofa Set with Ice Bucket FLA-102520	Luxury Outdoor Rattan Furniture SetNatural mixed brown flat rattan weaveCoffee Table features a built-in Ice BucketRattan cover incl..
Maze Rattan Furniture Georgia 3 Seat Grey Sofa Set FLA-102525	Luxury Outdoor Rattan Furniture SetMixed grey flat rattan weaveCoffee Table features a built-in Ice BucketRattan cover included for the Ic..
Maze Rattan Furniture Toronto Daybed FLA-106050 - Brown	Luxury Outdoor Rattan Furniture SetNatural mixed brown flat rattan weaveModular design - The daybed can be separated into a sofa, two footstools..
Maze Rattan Furniture Toronto Daybed FLA-106055 - Grey	Luxury Outdoor Rattan Furniture SetNatural mixed grey flat rattan weaveModular design - The daybed can be separated into a sofa, two footstools a..
Maze Rattan Furniture Victoria 3 Seat Sofa Set VIC-502050	Luxury Outdoor Rattan Furniture SetMulti-tonal smoke and charcoal coloured weaveRounded corners for a more comfortable experienceLuxury thick ..
Maze Rattan Furniture Winchester 5-Piece Cube Set WIN-205014 with Footstools	Luxury Outdoor Rattan Furniture SetCompact rattan set perfect for those with limited garden space.Classic natural-coloured ..
Maze Rattan Furniture Winchester Chaise Corner Sofa Set WIN-203054	Luxury Outdoor Rattan Furniture SetClassic natural-coloured round weaveRounded corners for a more comfortable experienceLuxury t..
Maze Rattan Furniture Winchester Rounded Corner Dining Set WIN-205054	Luxury Outdoor Rattan Furniture SetClassic natural-coloured round weaveRounded corners for a more comfortable experienceLuxury thi..
Maze Rattan Furniture Winchester High Back Sofa Set WIN-202084	Luxury Outdoor Rattan Furniture SetClassic natural-coloured round weaveRounded corners for a more comfortable experienceLuxury thick natu..
Maze Rattan Furniture Winchester Large Corner Sofa Set WIN-203014	Luxury Outdoor Rattan Furniture SetClassic natural-coloured round weaveRounded corners for a more comfortable experienceLuxury thick n..
Maze Rattan LA 4 Seat Round Dining Set with Ice Bucket KIT-102-RB-BR	Luxury Outdoor Rattan Furniture SetNatural mixed brown flat rattan weaveLuxury natural beige seat and back cushionsCushion Depth is..
Maze Rattan LA 6 Seat Round Dining Set with Ice Bucket FLA-TB-13510 Luxury Outdoor Rattan Furniture SetNEW FOR 2018: This Rattan Set now also features a Lazy Susan than fits on top of the Ice Bucket!N..
Maze Rattan LA 8 Seat Round Dining Set with Ice Bucket FLA-TB-18010	Luxury Outdoor Rattan Furniture SetNEW FOR 2018: This Rattan Set now also features a Lazy Susan than fits on top of the Ice Buc..
Maze Rattan London Corner Sofa Set with Ice Bucket FLA-103570	Luxury Outdoor Rattan Furniture SetNatural mixed brown flat rattan weaveLuxury thick natural beige seat cushions and pillow style back cus..
Maze Rattan London Corner Sofa Set with Armchair and Ice Bucket FLA-103540	Luxury Outdoor Rattan Furniture SetNatural mixed brown flat rattan weaveLuxury thick natural beige seat cushions and pil..
Maze Rattan Tuscany Porto Corner Sofa Set FLA-103059	Luxury Outdoor Rattan Furniture SetLight coloured mixed natural flat rattan weaveLuxury thick natural beige seat cushions and pillow style back cus..
Maze Rattan Venice Corner Sofa Dining Set with Ice Bucket FLA-V-107535	Luxury Outdoor Rattan Furniture SetClassic grey coloured round weaveRounded corners for a more comfortable experienceLuxury ..
Maze Rattan Victoria 2 Seat Sofa Set VIC-502020	Luxury Outdoor Rattan Furniture SetMulti-tonal smoke and charcoal coloured weaveRounded corners for a more comfortable experienceLuxury thick grey seat ..
Maze Rattan Winchester 2 Seater Sofa Set WIN-202014	Luxury Outdoor Rattan Furniture SetClassic natural-coloured round weaveRounded corners for a more comfortable experienceLuxury thick natural be..
Maze Rattan Winchester 3 Seater Sofa Set WIN-202024	Luxury Outdoor Rattan Furniture SetClassic natural-coloured round weaveRounded corners for a more comfortable experienceLuxury thick natural be..
Maze Rattan Winchester Round Corner Sofa Set WIN-203034	Luxury Outdoor Rattan Furniture SetClassic natural-coloured round weaveRounded corners for a more comfortable experienceLuxury thick natural bei..
Maze Rattan Winchester Square Corner Sofa Set WIN-203044	Luxury Outdoor Rattan Furniture SetClassic natural-coloured round weaveRounded corners for a more comfortable experienceLuxury thick natur..
Maze Rattan Winchester Square Sofa Set WIN-202044	Set Does Not include the garden planters or the parasol shown in the pictures.Luxury Outdoor Rattan Furniture SetClassic natural-coloured round w..
Zen 2 Seat Sofa Garden Furniture Set ZN-2S-SOF-3757 - Garden Lounge Luxury Garden Furniture Set Grey coloured Sunbrella™ fabric Durable Breathable Fabric Mould, Stain, Water and Fade Resis..
Zen 3 Seat Sofa Garden Furniture Set ZN-3S-SOF-3757 - Garden Lounge Luxury Garden Furniture Set Grey coloured Sunbrella™ fabric Durable Breathable Fabric Mould, Stain, Water and Fade Resis..